Earlier in September I mentioned in another book review about how I found myself accidentally reading a book from the end of a series rather than following them in order as a result of getting it cheaply in a charity shop. I found myself doing the same when it came to picking up and reading Strange Shores by Arnaldur Indridason as it’s actually the ninth(! ), if you exclude one that was written as a prequel as number zero, book in the series because clearly I don’t pay enough attention to that section of a book where it says “also by this author”. Luckily I managed to get away with it being later in the series, though I am sure there are some references that I completely missed as a result of not reading the earlier books. When doing additional book sorting at the political building, where I found this book, I spotted the eighth book in this series so I grabbed that one as well and will hopefully get around to reading it soon. Perhaps the rest were in the stacks and I just didn’t pay enough attention but the other books, including the one that is coming out soon, are currently sitting on my Amazon wishlist. When you start reading Strange Shores it becomes obvious that the lead character is struggling with some internal demons; he finds himself going to the place where he grew up and stays in a now derelict house on an uncomfortable floor before running to his car and turning the heating on in the morning to get some feeling back to his extremities. It turns out to be a bit of a representation of his guilt over something that happened in the past, something he couldn’t have really done anything to change despite all those what ifs in his head, and those demons come out to play in his desperation to find the answers to a different, but at a glance similar, story that unravels in front of him. His search to find the truth about what happened to a woman one day when there was a terrible snowstorm overwhelms him and it becomes his fascination. It makes no sense to him how her body was never found when there was an active search for soldiers happening at the same time in the exact same area and eventually he finds out why. He uses his career of being a police officer in the city to connect together each piece of the story but it also causes some tensions amongst those he speaks with, to the point of getting threatened to be shot, as they feel under investigation and that anything they say could cause them to be incriminated in the tale of tragedy. The way that the story combines emotions, routine, the past and so many different uncomfortable truths makes for a really captivating and powerful story. When there was a moment of heartbreaking realisation, a feeling of sadness or despair coming from the characters it really leapt off the page and as a reader I felt touched by every single conversation that was going on; the internal chats and flashbacks about the lead characters brothers fate, the old man struggling to accept what happened to his sweetheart and people around the town taking these stories as nothing more than legend. I really enjoyed reading this book with the way the story was brought together by the author through such a carefully constructed writing style and clearly developing on the content provided in previous books to bring in a sense of intimacy with the lead character. 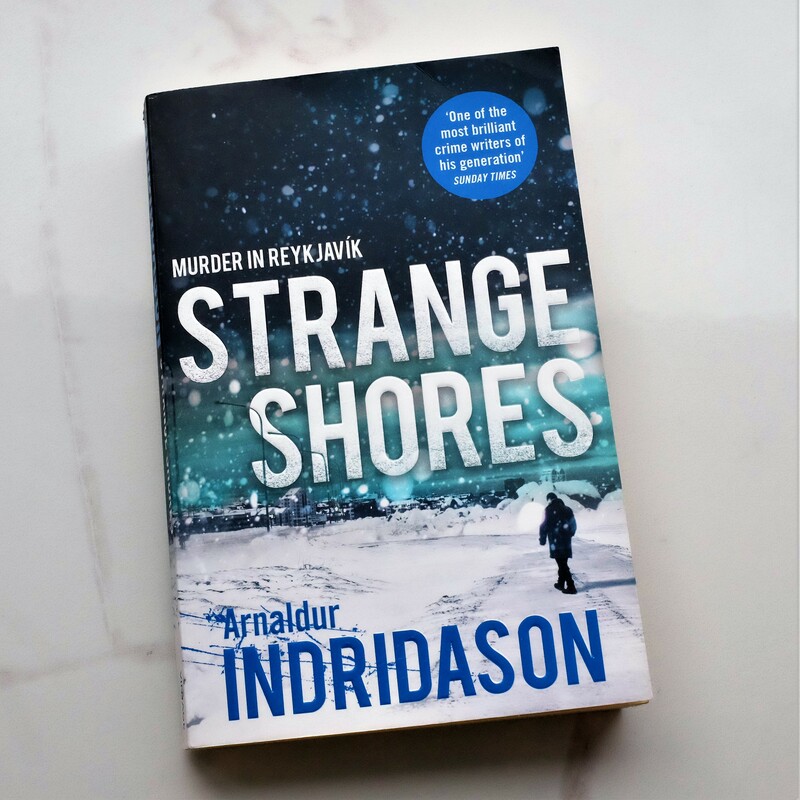 This book is a superb example of why Indridason is regarded as such an excellent writer in the genre. This is a series I would strongly recommend but of course try to start at the beginning so you don’t find yourself having to backtrack and learn about everything in a different way at a later date. Follow me on Goodreads to see what I’m reading right now or add my book Instagram account to include me in your feed. This entry was posted in Books, Culture and tagged Arnaldur Indridason, book, book blog, book blogger, book bloggers, book review, Books, crime, crime book, detective story, Iceland, Icelandic crime, lblog, lblogger, lbloggers, life, Lifestyle, lifestyle blog, lifestyle blogger, lifestyle bloggers, murder in reykjavik, murder mystery, mystery, mystery book, nature, outside, police detective, thriller. Bookmark the permalink.